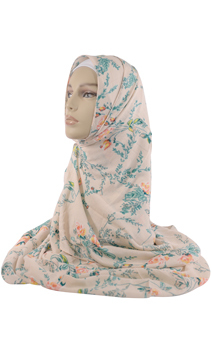 EastEssence- Online Islamic Store: What Do You Know of Hijab Fashion? Does the term Hijab Fashion or Hijab fashion Trends ring in any bells? For starters let’s concentrate on the etymology behind the word Hijab . ‘Hijab’ as most of you might know, comes from the Arabic root word ‘hajaba’ which simply means partition. The other connotation stands for a screen or a curtain. So as per the Islamic diktat a woman is supposed to cover herself modestly wherein hair coverage has been hinted in the text and has now come to be the common understanding amongst various clerics and all and sundry. So basically Hijab attempts to define the modesty of a woman by covering her hair and strictly prohibiting women from exposing their bodies. It also work on a psychological level for men too, when it asks men, “to lower their gaze and guard their modesty”. So it’s safe to say that Hijab has many layers to it and clothes form just one aspect of it.